I have just spent near enough the last hour perusing the Spartoo website. Seeing as I was talking about online sales earlier, and have posted about at least two brands who are making reductions on their stock, I feel it would only be right to concentrate on the footwear side of things too. So when an email from Spartoo popped into my inbox telling me their sale had also started, I knew I'd have to check out the site. I've said this before with Spartoo, and I'll say it again: There is SO MUCH to choose from! Not only do they carry some incredible brands, they have such a choice over all ranges. They stock jewellery, bags, and shoes for men, women and children so there really is something for everyone. The current sale selection has loads of items with discounts ranging in size from 30-60%. The website is well worth checking out! 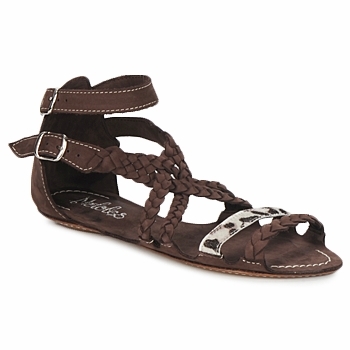 I found courts, boots, sandals and pumps all at great prices. 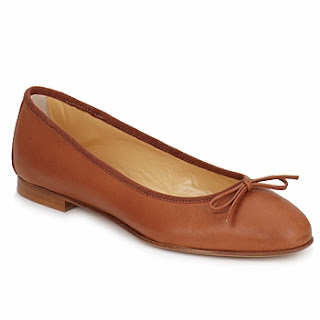 I'm on the hunt for a new pair of ballet flats and the Fericelli pair below are fitting the bill quite perfectly-classy and elegant. 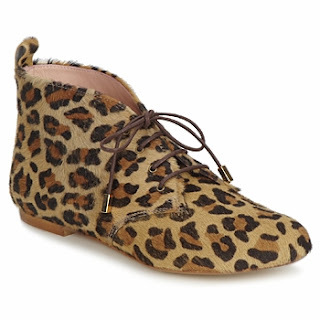 I am also loving the Emma.Go ponyhair leopard boots-how cute are they! Sign up to recieve email updates from Spartoo and you'll recieve a £5 discount voucher. They don't bombard you with emails, either, because there's nothing worse than that! Another awesome feature of the website is that if you find your dream shoe on there, but your size is out of stock, you can select to be notified when it comes back in. I did this the other day, and promptly forgot about it as I've found that on other websites, you tend not to hear from them-all I ever get is a 'sorry, the item you wanted won't be coming back in.' However through Spartoo I did get an email stating that the style I wanted was back in stock in my size-and I got a money off voucher on the email too! Why thankyou so much! What do you make of my pick of the sales? Do you buy your shoes online? all of them look really nice. I'm loving the flats more only because I'm resting my feet from wearing high heeled shoes! I have not tried buying shoes online yet but I am very much interested to do so.